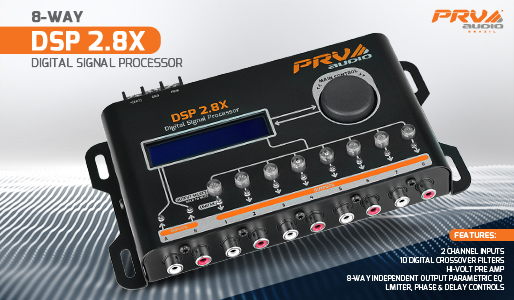 Bringing innovation and technology to the Automotive Sound market, PRV Audio launches the DSP 2.8X Digital Signal Processor, capable of making various adjustments, from filters, graphic and parametric equalization, alignment, phase inversion, limiter, audio generator, among others. 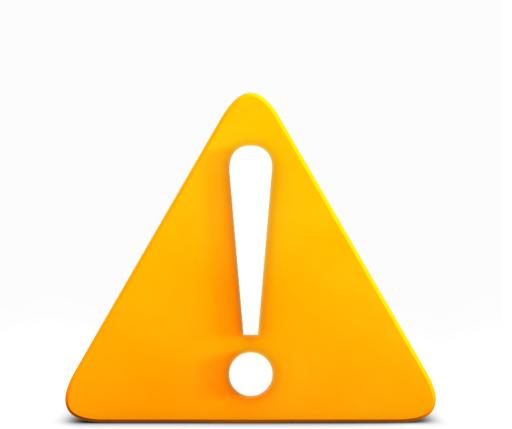 Enhancing Your Audio System! 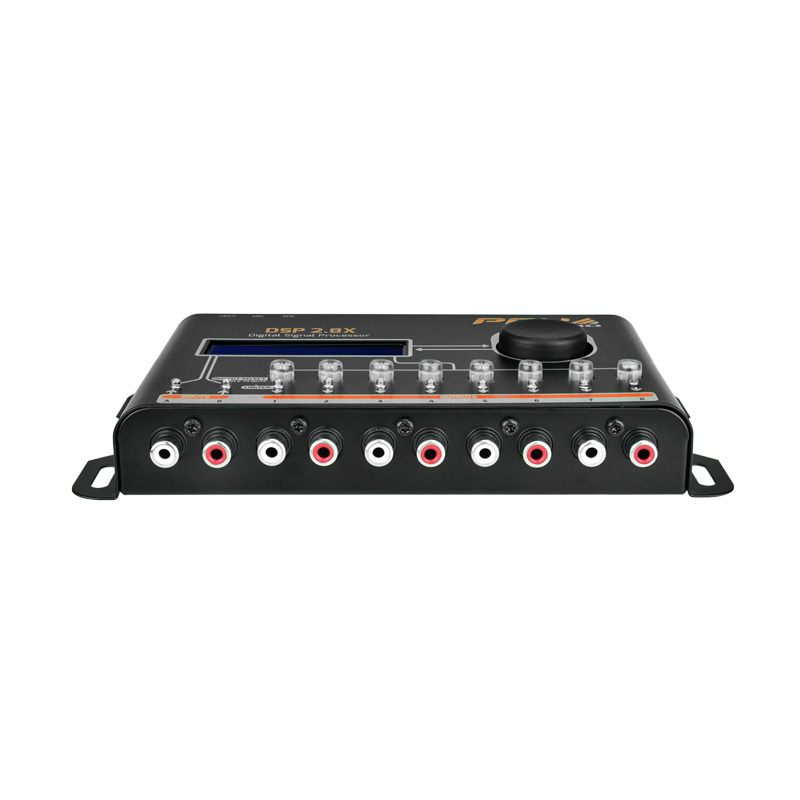 Through an LCD display and intuitive interface, it allows real-time audio adjustments.The DSP 2.8X features 2 audio inputs (A and B) and 8 independent outputs, and allows you to choose the audio source (A, B or A + B) for each output. It has an integrated equalization system, with 15-band graphic equalizer, manual tuning or through 12 presets (Flat, Loudness, Bass Boost, Mid Bass, Treble Boost, Powerful, Electronic, Rock, Hip Hop, Pop, Vocal and Pancadão). For professional equalization adjustments, it has 1 INPUT Parametric Equalizer and 1 OUTPUT Parametric Equalizer with gain control, specific frequency setting and equalizer bandwidth, allowing fine adjustments and detailed equalization control. The Crossover function allows you to precisely define the cut frequencies, attenuation rates and topology of the LowPass and HighPass filters with Butterworth and Linkwitz-Riley filters (12/18/24/36/48 dB / 8ª). 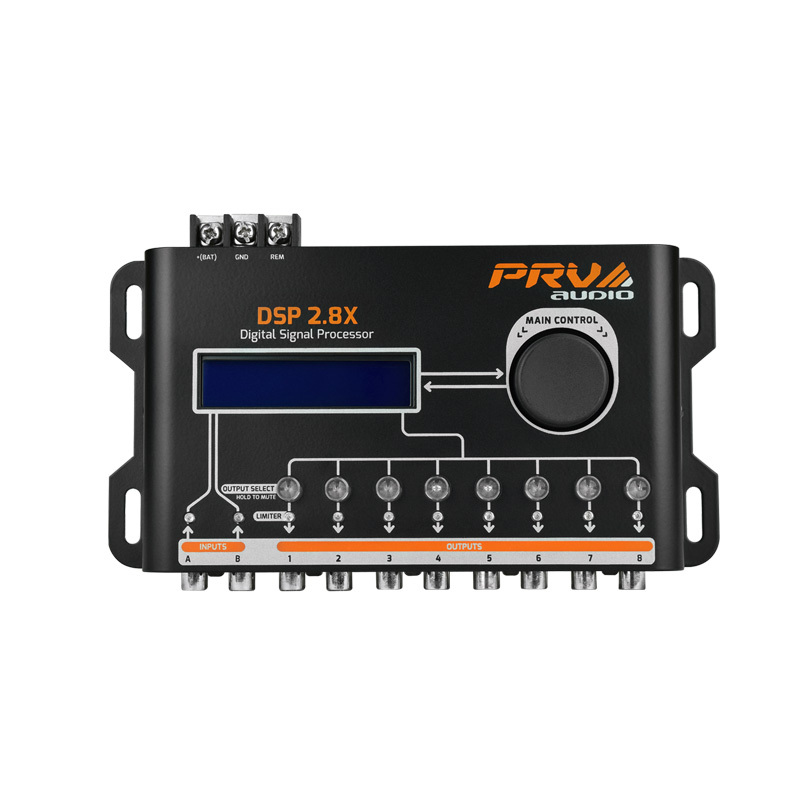 To aid in the protection of amplifiers and loudspeakers, the DSP 2.8X features a Limiter with Dynamic Attack-Release system that dynamically controls the Attack and Release parameters in real time, providing security and sound fidelity. In the audio treatment, it also has Alignment capabilities through High Accuracy Delay, Phase Inversion, Independent Gain by Output and Master Level. 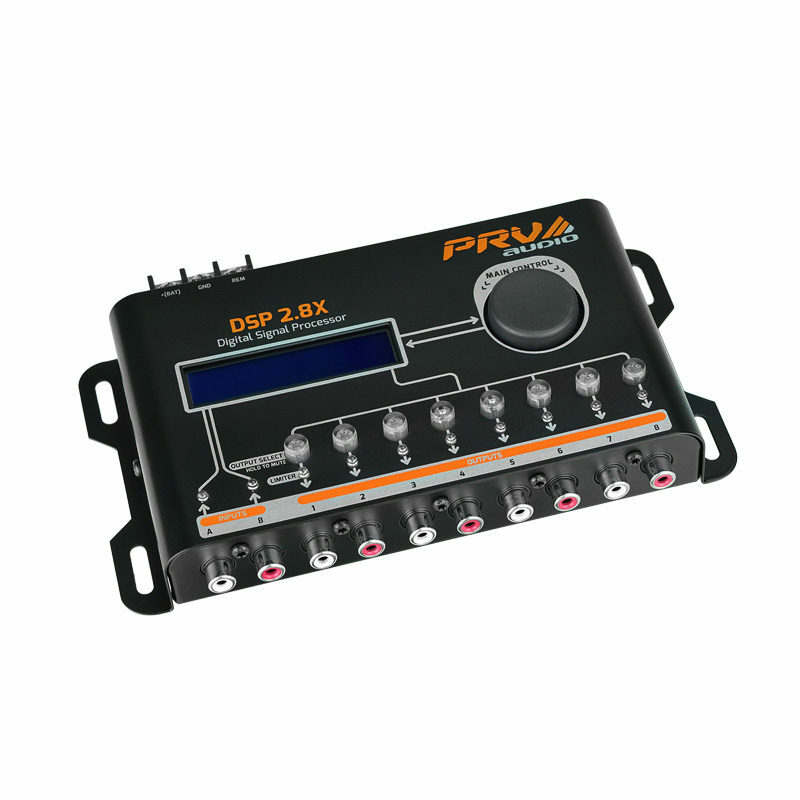 For accurate measurements and adjustments, the DSP 2.8X features an integrated Audio Generator with tone generation and frequency sweep and Pink Noise. Configuration Copy functions between output channels. It also has the functions of Management, Save and Load Settings in memory, Security Password that blocks the editing of the parameters, Marquee / Text Display and Language Selection.